This story originally appeared on the National Science Foundation’s Science Nation website. College students from across the U.S. are getting an opportunity that is unavailable to many of them on their own campuses—the chance to program robots. The students are taking part in a 10-week Summer Undergraduate Research Experience, or SURE for short. This particular SURE program is at Georgia Tech’s Institute for Robotics and Intelligent Machines (IRIM). It’s an immersive robotics research experience that is designed to attract underrepresented students into graduate school in the fields of engineering and science. 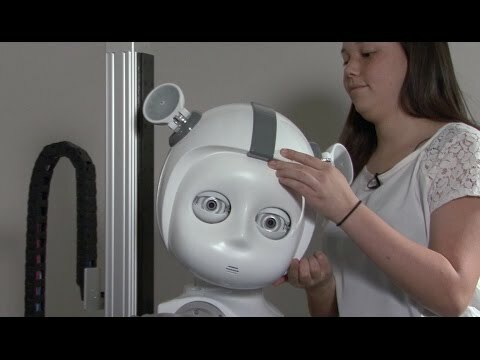 IRIM associate director of research Ayanna Howard says the projects—such as programming a robot to serve food to a person with a disability—are also meant to enlighten the students about the various applications of robotics and the multidisciplinary aspects of the research. She says the students also develop more confidence. In addition to the hands-on technology, the students also get advice on how to apply to and pay for graduate school. SURE is supported by the National Science Foundation’s (NSF) Research Experiences for Undergraduates (REU) program, and co-funded by the Department of Defense (DoD) in partnership with the NSF REU program and NSF's Division of Engineering Education and Centers (EEC). The research in this episode was supported by NSF award #1263049, REU Site: Summer Undergraduate Research in Engineering (SURE).